“$2025 GEM ON U STREET! HUGE ENGLISH BASEMENT W/ PRIVATE PATIO! 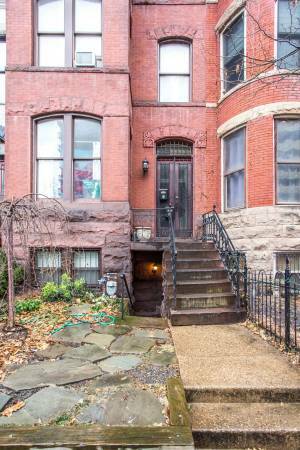 This great apartment in the heart of DC is the perfect oasis! Renovated with new floors throughout, this English Basement is filled with light and has loads of space. The main living area is open and bright and a breakfast bar at the kitchen makes the space more flexible. The kitchen has granite countertops and tons of cabinet space for all your gadgets and appliances. To the side you’ll find your full-size washer and dryer. The bathroom has a large mirror and full shower. The bedroom has room for a king-sized bed and leads out to your very own patio! 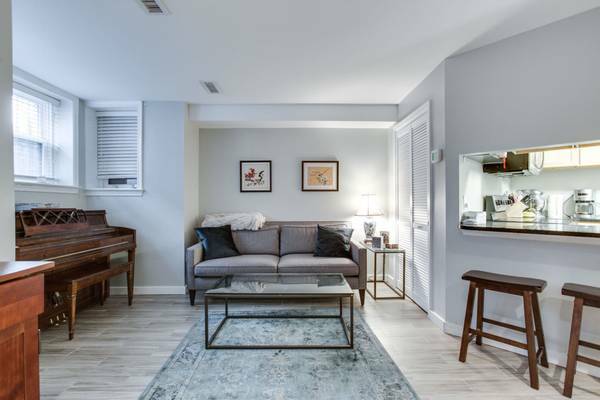 On a tree-lined street at 16th and U, this unit has an unbeatable location – walking distance from DuPont Circle, Adams Morgan and U Street restaurants, bars, and stores. Enjoy the convenience of getting groceries a few blocks away at Whole Foods or Trader Joe’s. Although you have everything you need at your fingertips, the Green/Yellow Line (U Street Metro) is a 5-minute walk away and plenty of buses run through the neighborhood. What/Where are the best local card shops in D.C.?